Please see the "Camp Registration Forms" drop down menu at the top. 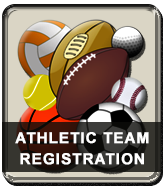 Any Fishers High School student/athlete who wishes to participate in athletic contests, open gyms, summer conditioning, team camps, team practices, try-outs, or weights for any sport MUST COMPLETE THE FOLLOWING DIGITAL FORMS and have a current IHSAA Athletic Physical on file in the Athletic Office before you are eligible to participate. Physicals for the 2018-2019 school year (including summer) must be completed after April 1, 2018. Physicals should be handed into the Fishers HS Athletic Office.